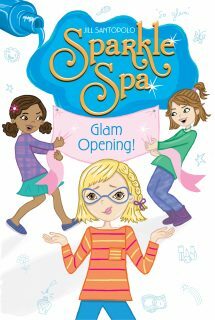 Brooke and Aly are forced to work with their frenemy in the tenth and final sparkly story in this shimmering series about two sisters who open their own mini-nail salon. Have Aly and Suzy Davis finally reached détente? Brooke and Aly’s mother and Suzy’s mother join forces and decide to open up a new salon. Does that mean the girls will actually have to work together in a brand-new Sparkle Spa? Like it or not, these frenemies are now in business together!